We read the botanical web so you don’t have to. 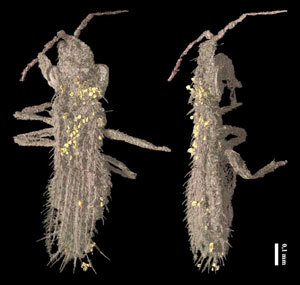 In this edition: Thrips in amber, plants for sale, wild orchards, and restoring a rainforest. Mister Subjunctive runs one of the best, most helpful, and consistently funny plant blogs around, and once a year he sells some of his plants. I bought some last year and they all did great. Support a great site and get some amazing plants by buying some yourself. A pick-what-you-like fruit farm. Greens the city and feeds the hungry. I want to do this to every empty lot I see. When you have 20 minutes to spare, watch this video. It’s a practical guide for taking turning a wasteland into a paradise, saving orangutans, growing food and community, all at the same time. Inspiring. 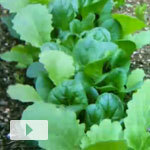 Watch May fly by for my vegetable garden in under a minute. 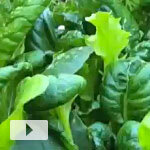 The lettuce, mustard greens, spinach, and even the carrots have all gone crazy in the last week.